I am gratitude for the many people who’ve supported me in my journey toward ordination last week. I am grateful for the many years being formed as a pastor through my work at Campamento del Caribe in Puerto Rico. Thank you to those in my discernment groups – you who listened still and deep. Thank you for asking the hard questions. I am grateful for Thursday dinners with friends, for chocolate, for strong coffee. Thank you to friends and colleagues in seminary Seattle University School of Theology and Ministry whom helped me balance my heady theology with spirituality of the heart. I am grateful for The Wire, Treme, Battlestar Galactica and the other TV shows I binged while avoiding homework for seminary – they gave an edge to my theology. I am thankful for Fito Páez, Cafe Tacvba, Los Fabulosos Cadillacs, Calle13 oficial, La Fania All Star, Cultura Profética, Bob Marley and Ruben Blades for being my playlist these past 7 years in my discernment and formation to Holy Orders. I am grateful to Church of the Apostles, St. Paul’s Episcopal Church (Queen Ann) and St. Andrew’s Episcopal Church Seattle for giving me spaces to grow in my pastoral identity. Grateful to the many beautiful and broken people I met through my CPE experience last year – those who are still around and those that have moved though the veil of death into mystery. 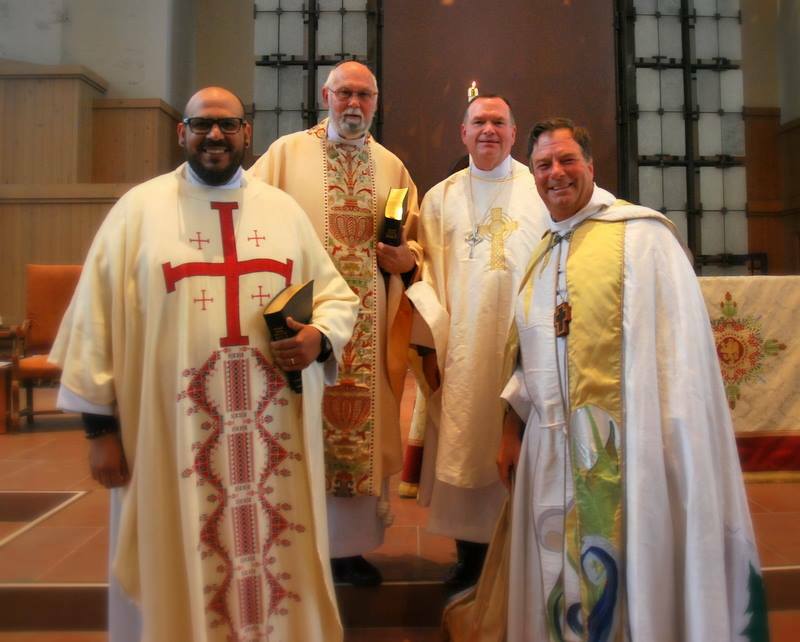 I am grateful for the support of the wonderful people of the The Episcopal Diocese of Olympia and the wisdom and pastoral presence of Bishop Greg Rickel. Grateful for Brother Steve, Brother Jonathan and Brother Mark, for Sister Karen, and for many sisters and brothers along the way. Grateful for tickle fights and silly afternoons with the kids. And words cannot say enough I how grateful I am for the blessed love, care and patience of my partner Ricci.